It's all about the dark meat. 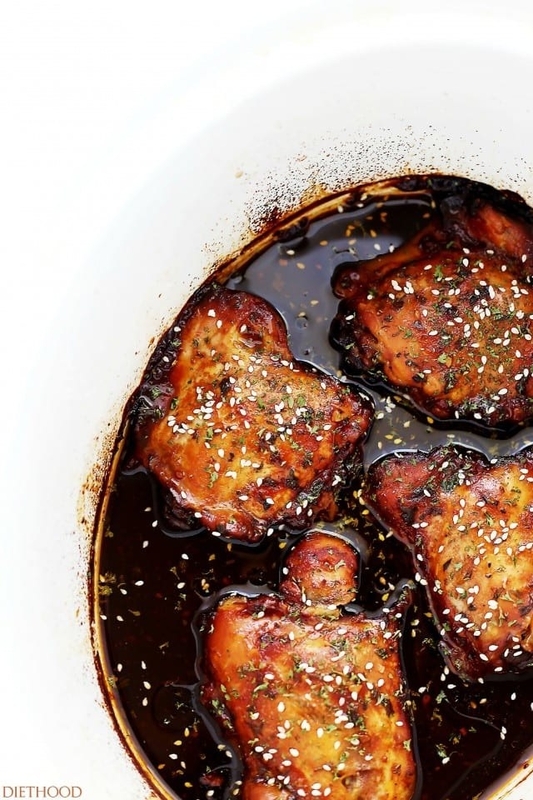 You'll want to put this sweet and tangy sauce — made with pantry staples like soy sauce, honey, and brown sugar — on just about everything. Get the recipe. 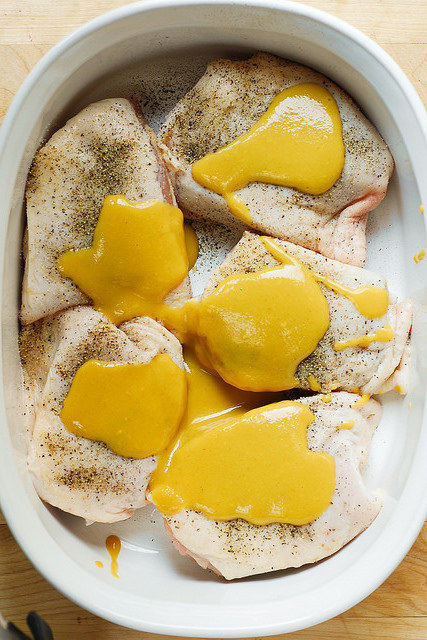 What could be better than taking everyone's favorite party dip and turning it into dinner? 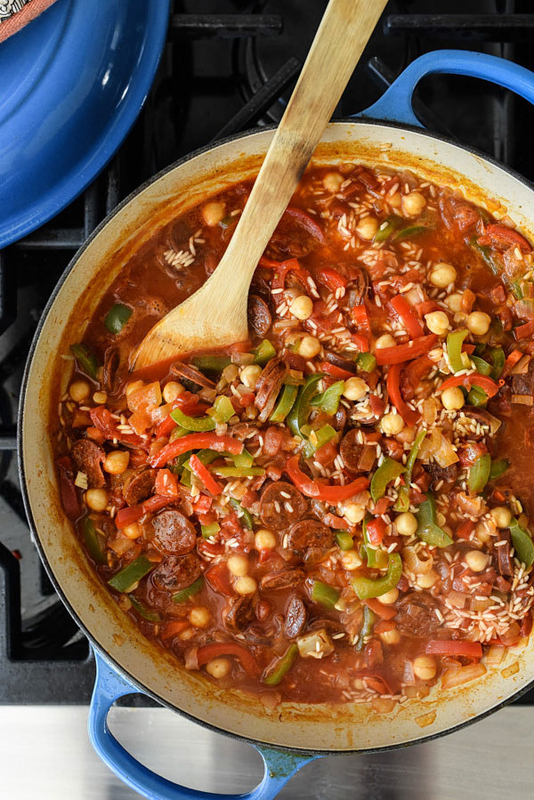 Plus, you can make the entire meal from start to finish in a single skillet. Get the recipe. 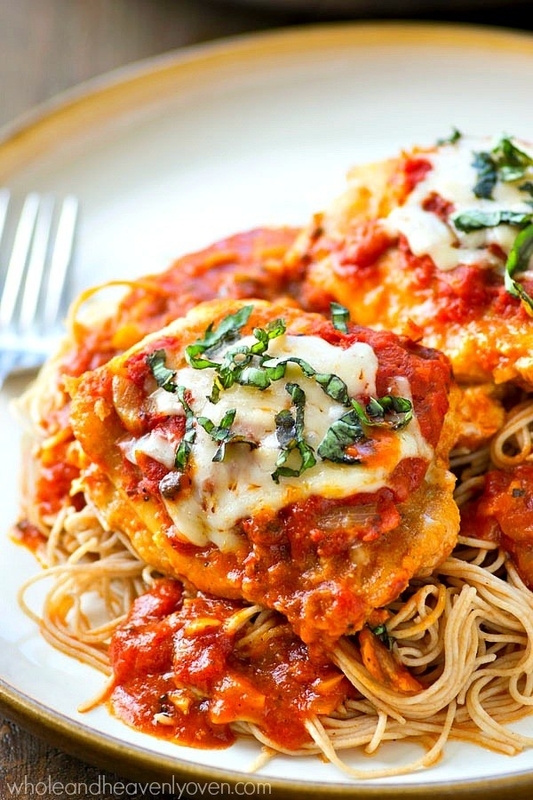 Do you want to learn the secret to this mouthwatering chicken parm? Forget about the breasts. It's all about the dark meat. Get the recipe. 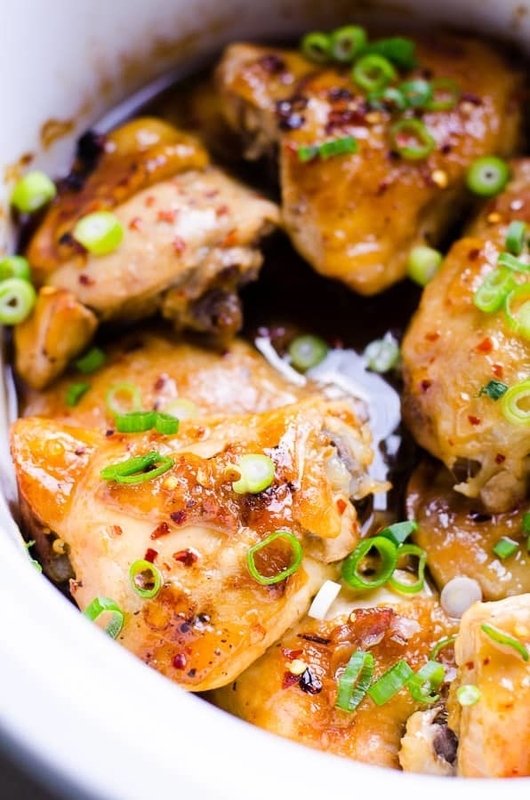 Easiest recipe ever: Throw chicken thighs, Thai sweet chili sauce, and scallions in the Crock Pot. 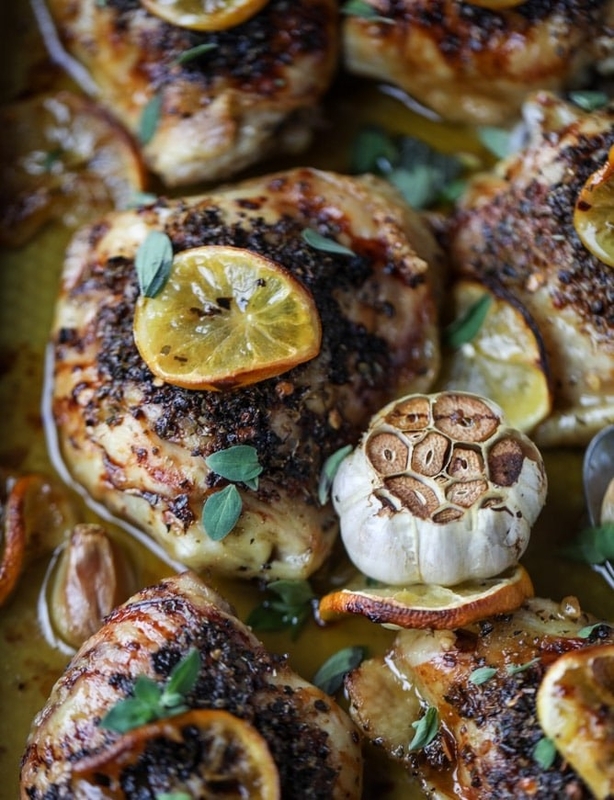 Let it cook for 3 hours on high and voilà: A dinner that basically cooks itself. Get the recipe. Consider this a cheater's paella that'll satisfying any comfort food craving. 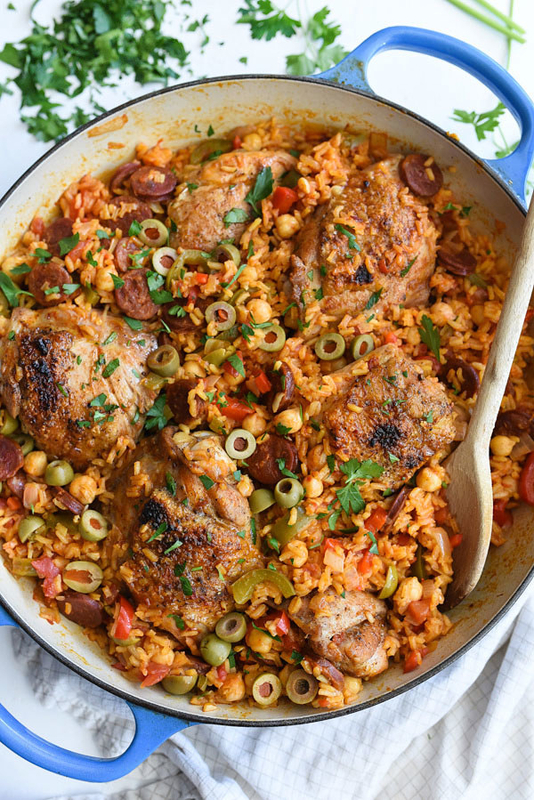 The rice is cooked with wine, chicken broth, diced tomatoes, and smoked paprika. Then, add crispy chicken thighs, sausage, and veggies to the mix. Get the recipe. 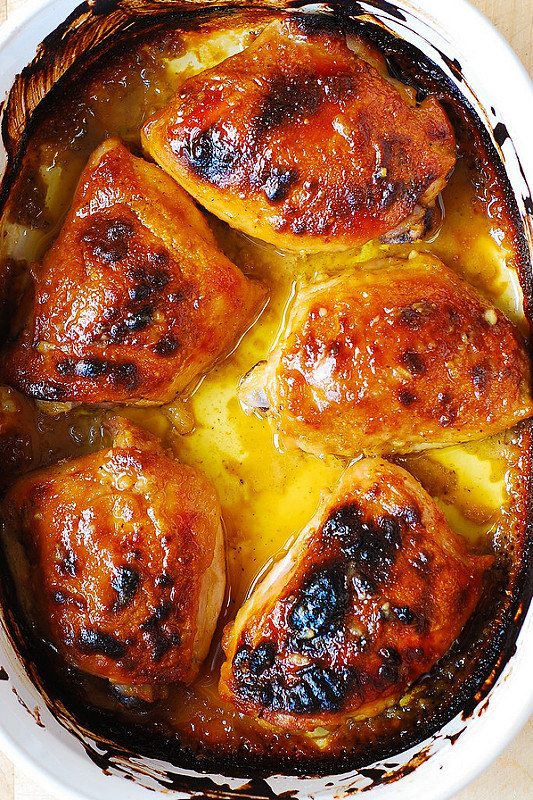 Four ingredients is all you need to make this seriously tasty dinner: Bone-in skin-on chicken thighs, rice vinegar, maple syrup, and dijon mustard. Get the recipe. Most of the ingredients for this are probably already sitting in your pantry or fridge. 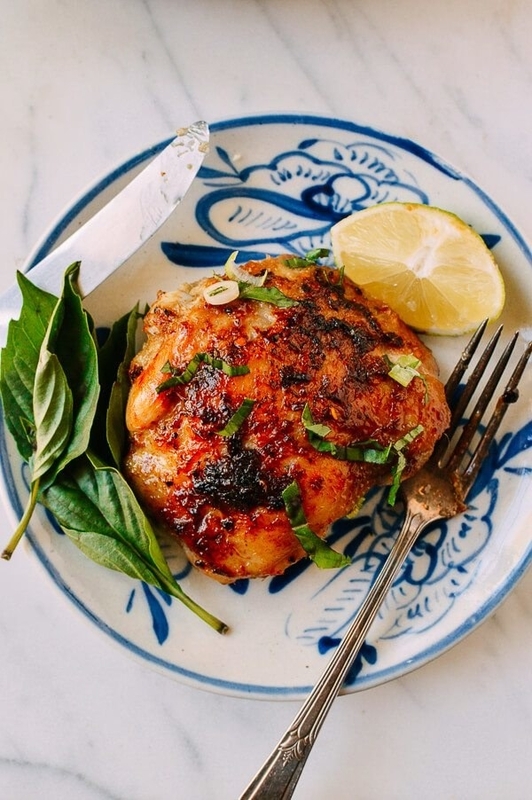 And when it all comes together, this chicken is crispy on the outside, moist on the inside, and bursting with garlicky, lemony goodness. Get the recipe. 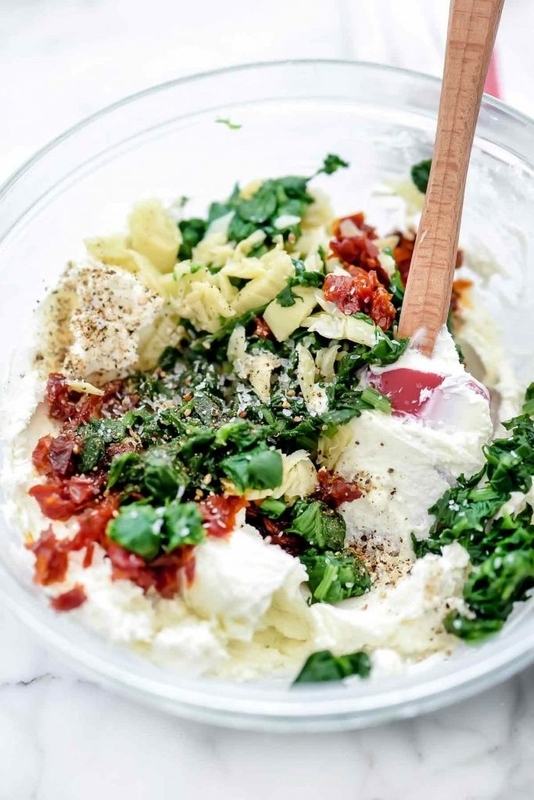 Underneath this crispy skin is a creamy mixture of goat cheese, spinach, artichoke hearts, and sun dried tomatoes. Get the recipe. 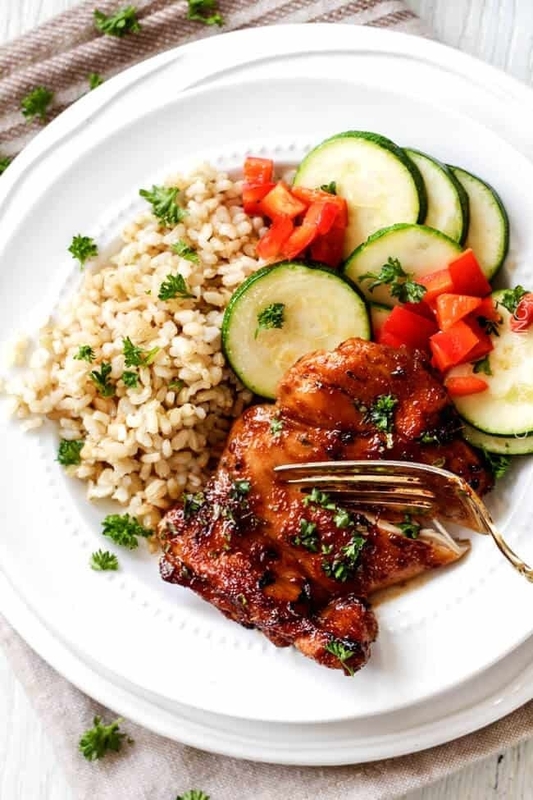 Combine your favorite grain like orzo or rice in a skillet with chicken thighs and your favorite veggies, and call it dinner. Get the recipe. If you're pressed for time and don't want to make goat cheese dip from scratch, opt for Greek yogurt or store-bought tzatziki. Get the recipe. This Asian-inspired sauce is made with coconut milk, red curry paste, ginger, and garlic. Get the recipe. 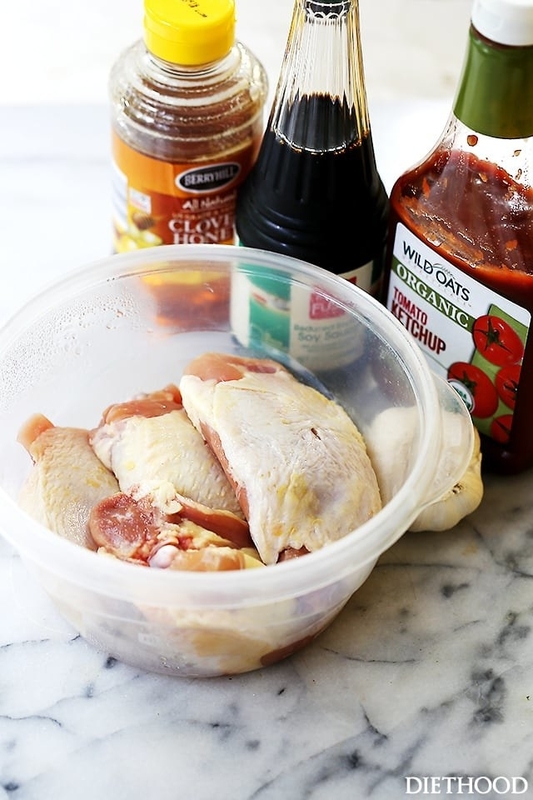 This chicken comes together in about 15 minutes flat. Serve it over rice or quinoa with your favorite vegetables. Get the recipe. 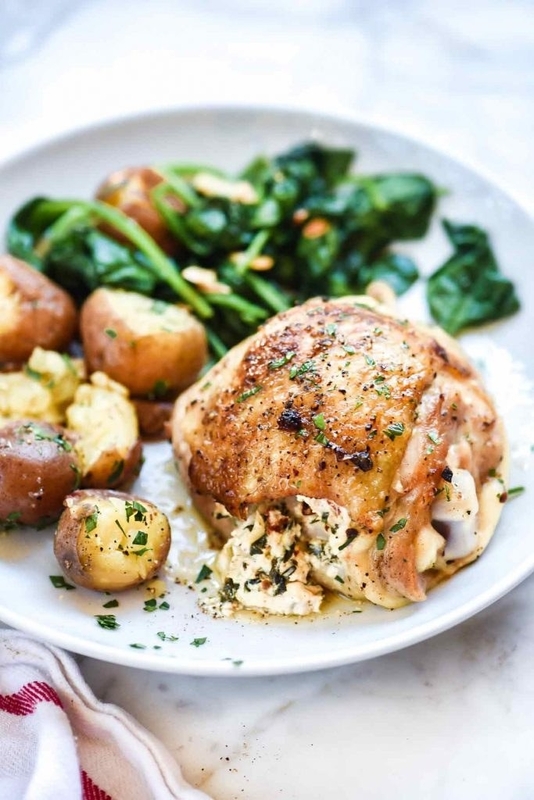 Four ingredients (plus water and salt) is all you need to whip up this satisfying meal. So make a big batch and freeze some for a lazy day. Get the recipe. 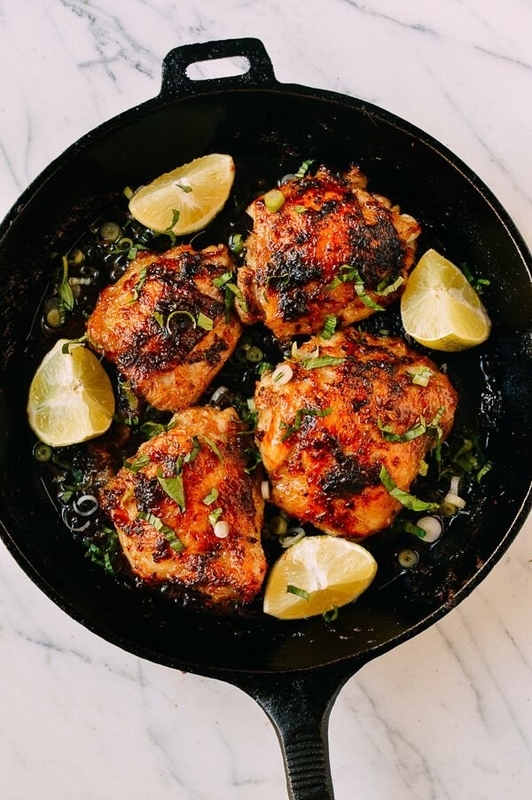 These chicken thighs are marinated in lime juice, olive oil, garlic, cumin chili powder, cilantro, then diced. 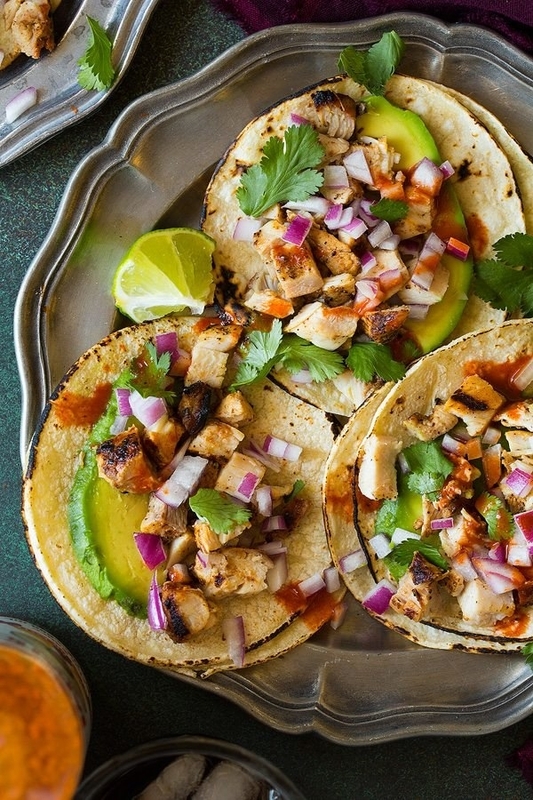 Use them as a taco filling or a burrito bowl topper with your favorite Tex-Mex garnishes. Get the recipe. Better than Thai takeout, this chicken gets its flavor from oyster and fish sauce, lemongrass, shallots, and red peppers. Get the recipe. These thighs get dredged in flour and seasoning, then cooked in oil and butter, and finished off in the stove. The result? 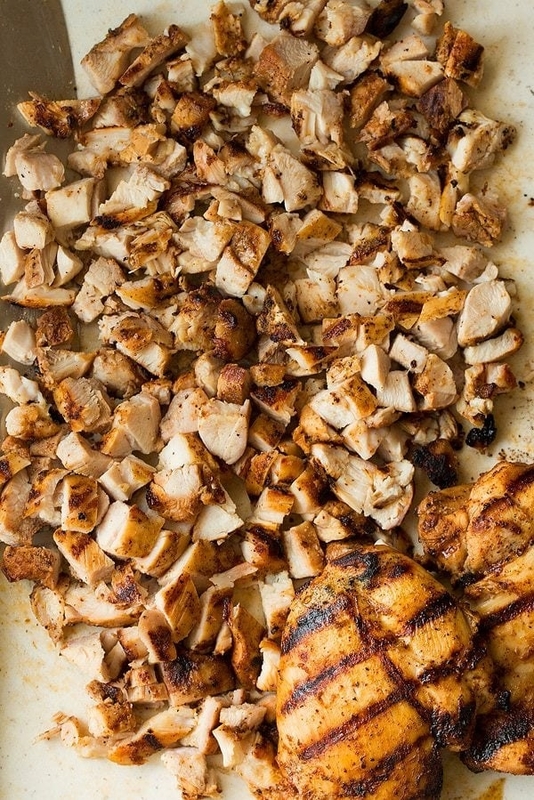 Perfectly crispy chicken. Get the recipe. The key to this recipe is the creamy mushroom and thyme sauce. In fact, it's probably wise to make a big batch and freeze some to dress anything from seafood to pasta. Get the recipe. 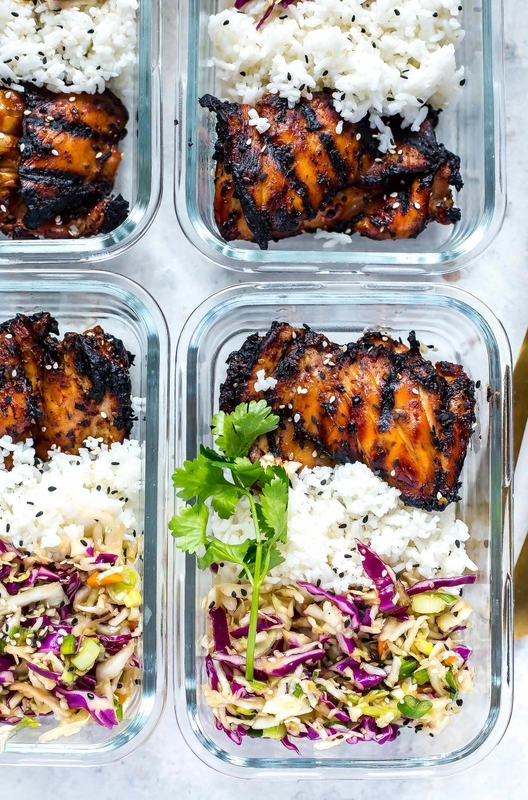 These rice, slaw, and Korean-marinated chicken bowls stay good for up to six days in the fridge, so you can make a bunch at once and keep some on hand for easy work lunches. Get the recipe. Classic chicken noodle soup gets an Asian twist thanks to a flavorful chicken stock made with garlic, soy sauce, vinegar, and ginger. 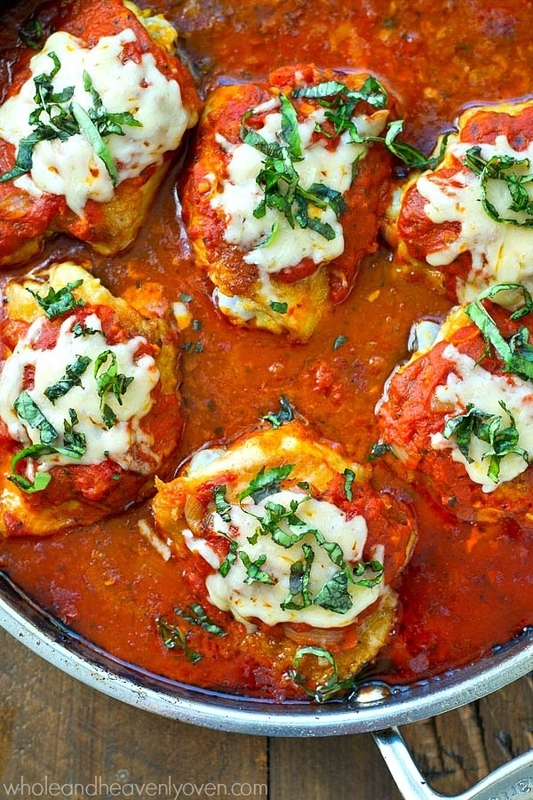 The best part is you can make it right in the slow cooker. Get the recipe. 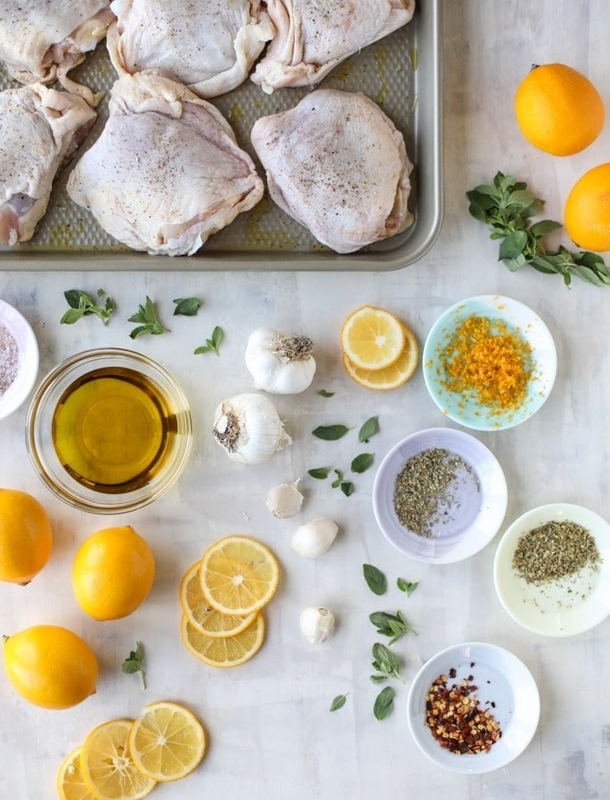 Five ingredients go a long way in this creamy, lemony, and garlicky chicken dish bursting with blistered tomatoes. Get the recipe. Got five minutes to spare? 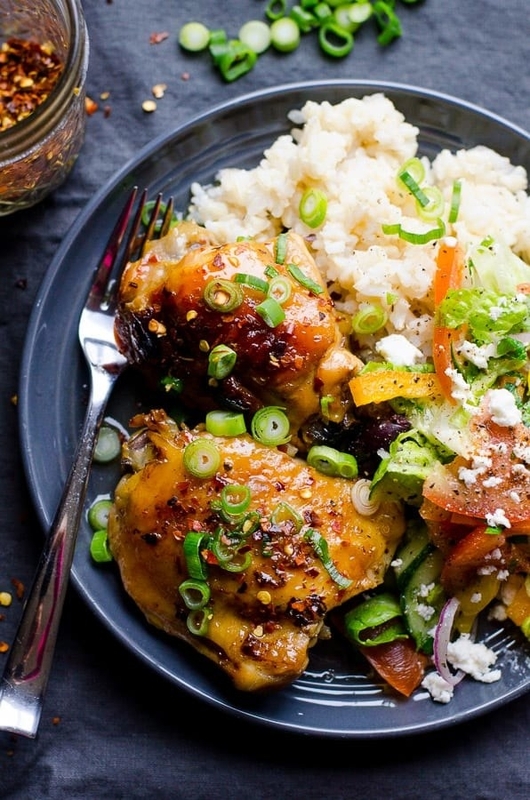 That's all you need to prep this easy slow cooker meal. Get the recipe. 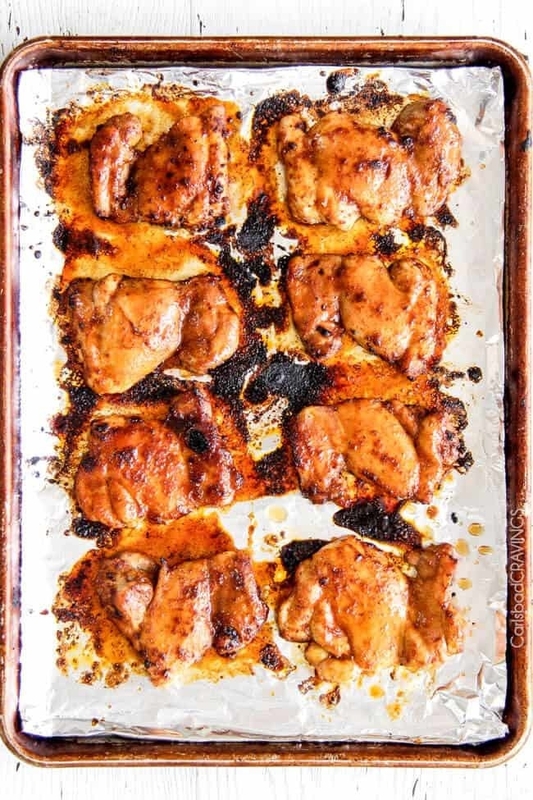 These chicken thighs are coated in flour, salt, onion powder, garlic powder and paprika, then dipped in an egg wash and baked in the oven until they're golden brown. 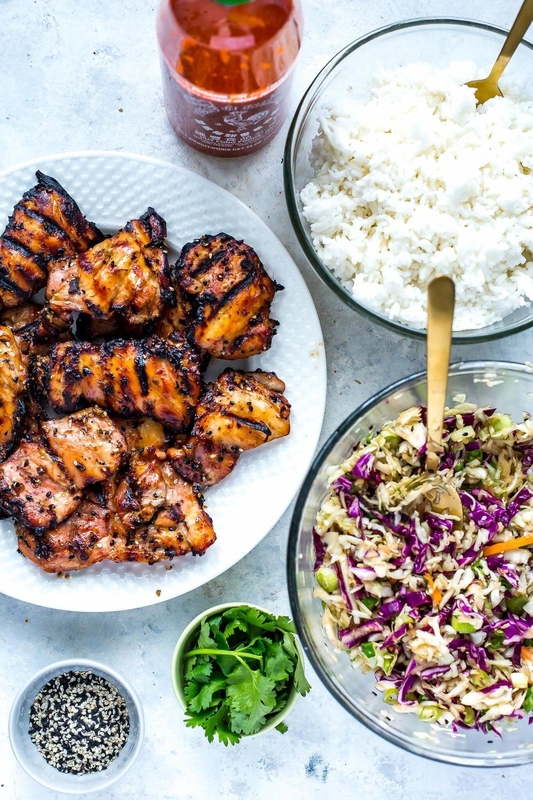 You just might mistake this dish for fried chicken. Get the recipe.